Welcome to the Pope Benedict XVI Fan Club! - Formerly known as the Cardinal Ratzinger Fan Club (founded in 2001) we are an online archive of news, articles and commentary for Joseph Ratzinger / Pope Emeritus Benedict XVI. Within this website you can read his biography, learn more about the resignation of Pope Benedict as leader of the Catholic Church on February 28, 2013, and the legacy he will leave behind. More importantly, we encourage you to explore his vast collection of addresses and writings available online, both during his pontificate (2005-2013) and as Prefect of the Congregation of the Doctrine of the Faith (1981-2005) in service to Pope John Paul II. Online works and resources for Joseph Cardinal Ratzinger. Collected news and commentary on pivotal moments in the pontificate of Benedict XVI. 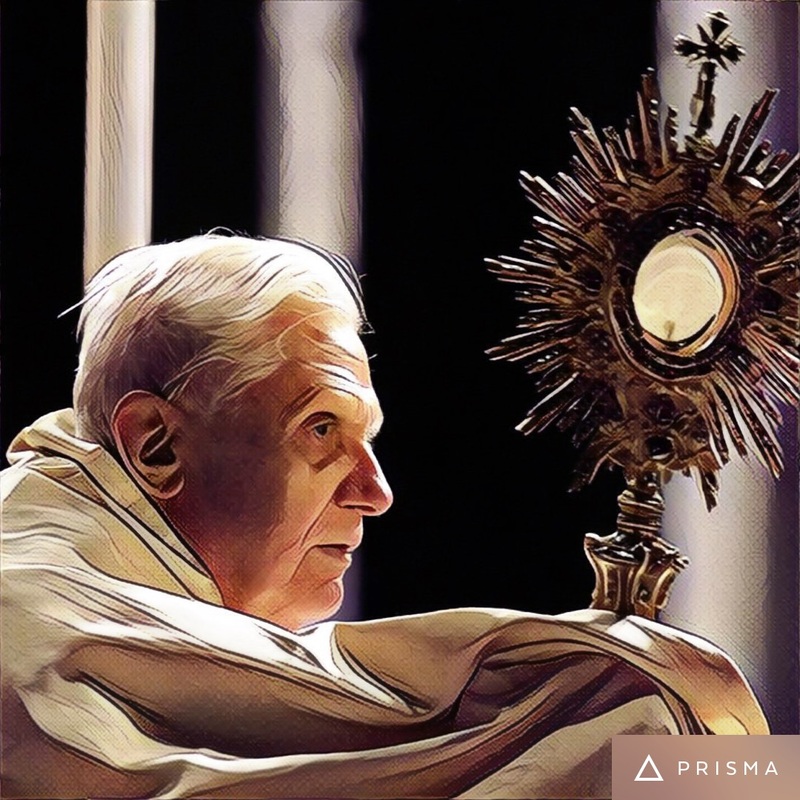 Ongoing roundups of news and commentary on Joseph Ratzinger / Pope Emeritus Benedict XVI. On ongoing compilation of published works by and about Joseph Ratzinger / Pope Benedict XVI. Stickers, T-shirts, Coffee Mugs, Beer Steins! "The Ratzinger-Kasper Debate" on the "Local Church" and the "Universal Church"